Before the t-shirts, international clients like Yellow Pages and GroupM, and before billions of ad spend management under its belt, Acquisio was just an idea with the potential to shake up the search marketing industry. Here’s how one of the largest digital marketing software solutions in the world got its start. In 2002, Marc Poirier, one of the co-founders of Acquisio, was working for an email marketing software company by day and spamming the main search engine of the time, Yahoo, by night. “At the time when Yahoo was the search engine, it was easy to attract people to your website; it was as simple as having a domain name with a lot of keywords or having a Yahoo approved review (which cost $300) and you’d get hundreds of new visitors as early as the next day,” explains Marc, fondly remembering the good old days. He not so fondly remembers the day Yahoo changed (condemning itself to eventual extinction) by putting Google results on the first page of their search engine. “That was one of the worst days of my life, I went from making $1000s with my side SEO consulting work to nothing,” he explained. There was a silver lining that day, Marc learned that it doesn’t pay to be a spammer. So he decided to get clean. With his passion for search ignited, and his conscience now cleared, Marc left his job to start his own company. With co-workers Richard Couture and Benoit Allain onboard, the other two co-founders of Acquisio, the trio got to work building their brand. The aspiring software company was too busy being an agency, bogged down by reporting tasks, to focus any time on developing tech. True, the team could have sent out simple excel spreadsheets or basic reports, but devoted to providing good visuals and bringing together client data from all systems and publishers, this was not an option. As it was, early Acquisio employees manually went into each system to collect data and aggregate it into one handmade report. Multiplied by how many clients, accounts and campaigns and it was a huge pain in the you-know-where. Acquisio’s agency, sold to generate revenue to establish a reporting software business, went on to become one of the largest digital agencies in Canada – W.illi.am. The next step in becoming the Acquisio we know and love today was to build the software. But once the software was created, in order to scale to the size they wanted, Marc and the gang sold the initial software to Yellow Pages Group to make enough money to start their business off securely. Yellow Pages Group used the initial Acquisio software to develop Mediative, which is now one of North America’s largest integrated digital marketing companies. Agencies were not just buying a software from Acquisio, they were buying operational efficiency and the opportunity to scale their business. 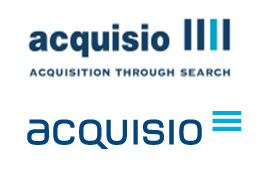 Helping to develop two industry leading companies, W.illi.am and Mediative, Acquisio’s reporting software enabled its agency clients to expand and scale similarly. So much so that soon, clients wanted more. Agencies wanted tracking capabilities and an editor that worked with search engines. To build those key components and to continue to solve SEM agency issues, Acquisio needed more money. When the software was first developed, back in the early 2000s, it was built on Flash. Over time, it became too slow to support clients with tens of thousands of keywords to bulk edit. In 2012, Acquisio began rebuilding the software from the ground up. Leaving Flash in the dust, the new version uses HTML5. It’s lighter, it loads faster and it’s more responsive. The first Acquisio software was designed to do reporting, but with additions and growth it has become a full-fledged performance media solution – equipped with a display offering, custom add ons and industry leading bid and budget management technology. Able to land some of the world’s biggest agencies and advertisers, Acquisio is poised to keep growing. “We started as an agency, so we get it, we understand the issues and we have the guts and the brains to solve those issues,” says Marc. Keep your eyes peeled, Acquisio is only just getting started.